Choosing the best strategy for claiming Social Security benefits is like playing a game of chess. Dawn Doebler has a few tips. WASHINGTON — For whatever reason, the Social Security Administration takes what should be a simple concept — receiving a monthly benefit amount in your retirement based on how much you earned while you were working — and makes it very complicated. When and how you decide to claim your Social Security benefit depends on a whole lot of scenarios, like whether you are married, divorced, widowed, or divorced and widowed. It depends on whether you earned more than your spouse, how long you plan to work, and when you want to, or are able, to retire. We can’t overemphasize the necessity of reviewing both partners’ potential benefits and basing your claiming decisions on analyses that consider a combination of factors unique to you, including the earnings of you and your spouse, your projected longevity and the options available to you to support your retirement cash flow needs. When other assets are limited (i.e. in the case of someone who is “house poor”) you’ll want to factor in the trade-off between taking social security benefits sooner to keep investments intact, but thereby reducing your monthly benefit amount, versus deferring social security and dipping into your portfolio to support your needs between full retirement age and age 70. Equally important is understanding the impact of any age differences between you and your spouse and how best to coordinate claiming dates in a way that maximizes your total lifetime benefits. Let’s consider a couple with $2 million in assets who are considering early retirement at age 58. One of the spouses is self-employed and hasn’t been taking a salary, so he has accrued only 10 years of work under his own record. His wife has been the primary breadwinner but her earnings have only been at maximum wages for the last 20 years. When analyzing their ability to retire early, they were surprised at how much lower their likely benefit was from the projections provided on their Social Security Account statement. That’s because the primary breadwinner would fall short of having the required 35 years of peak earnings to qualify for the higher monthly benefit if she leaves the workforce early. And since her spouse did not have his own benefit, early retirement meant both her benefit would be cut and the spousal benefit would be negatively impacted. In the end, they chose to delay retirement two more years. During that time, each one created part-time work opportunities that provided additional earnings to increase their monthly benefit calculation. They also created enough additional savings to delay claiming until their full retirement age rather than early at age 62, which ultimately provided a higher combined benefit. It’s a common misconception that widows begin receiving a survivor benefit upon the death of their spouse, no matter the age. While it is true that they can immediately begin receiving survivor benefits for their minor children should their spouse die, the earliest a widow can collect her own survivor benefit is at age 60. However, if she chooses to begin receiving this benefit at the earliest age, she will only receive 71.5% of the deceased’s benefit. It’s not until her full retirement age that she qualifies for a full 100% of the deceased’s benefit amount. For women who do not have another source of income, these restrictions can impose an unexpected hardship. Another surprise to many is the impact of the “widow limit,” a complicated calculation that comes into play if the deceased spouse claimed benefits before his full retirement age. As an example, a 61 year-old widow was surprised to learn that she did not qualify for a full survivor benefit when her spouse died. As she was sorting through how to create income to replace her deceased spouse’s salary, she had expected social security to bridge some of that gap. Although she qualifies for benefits for her 17-year-old son, that benefit isn’t enough to meet their spending needs. Fortunately, she discovered a $400,000 life insurance policy, the proceeds of which allowed her to fund college for her son and delay claiming social security until full retirement age. This way she can maximize the benefit earned by her deceased husband, who had earned a high six-figure income. Social Security benefits for divorcees hinge on at least three major requirements: that the marriage lasted at least 10 years, the divorce has lasted at least two years and that the claimant has not remarried. The age requirement of the claimant is 62 (or 60 for survivor benefit) and their ex-spouse must be at least age 62 and have worked 40 quarters for a full spousal benefit. We get many questions on the matter of potential ex-spouse benefits. One of the most common is if a woman’s ex-spouse remarries, can she still claim a benefit on his record? The answer is yes, so long as the three previous requirements have been met. We understand the confusion because it’s quite possible in this situation that the government is paying multiple ex-spouses under one man’s earnings record, but it is allowed. If you marry for a second time, but that marriage ends, you may again become entitled to benefits based on your first marriage. What’s not allowed is for you to claim benefits on two or more ex-spouses at the same time. If you’re not sure how to claim potential ex-spouse benefits, we suggest you contact the Social Security Administration, outline all the potential benefits you may qualify for, then confirm the one you have (or want to receive) is the highest benefit available to you. One advantage to being divorced when claiming is that both you and your ex-spouse can claim spousal benefits (i.e. him based on your record and you based on his record). Also, unlike married couples where one spouse has to file to trigger availability of the spousal benefit, that is not required in divorced couples. That means you don’t have to worry about getting cooperation from your ex-spouse, so long as they are at least 62 years old and you have the marriage certificate and divorce decree as proof of a qualifying marriage. Let’s look at a 64 year-old woman who was married for 12 years, then divorced from her husband for 25 years, and remarried last year. She was recently widowed from her second husband who died at age 65. She contacted the Social Security Administration to help her determine what benefit she could claim. Her work history included only eight years when she was employed fresh out of college, so getting a maximum benefit will depend on claiming spousal or survivor benefits. She learns that because her second husband had been self-employed and claimed very little in salary income, her survivor benefit from him amounted to only $1,000 per month. Surprisingly, the Social Security Administration informed her that she was entitled to a survivor benefit from her first husband who had been very successful later in life. That resulted in her receiving $1,500 per month in benefits due to her first marriage. 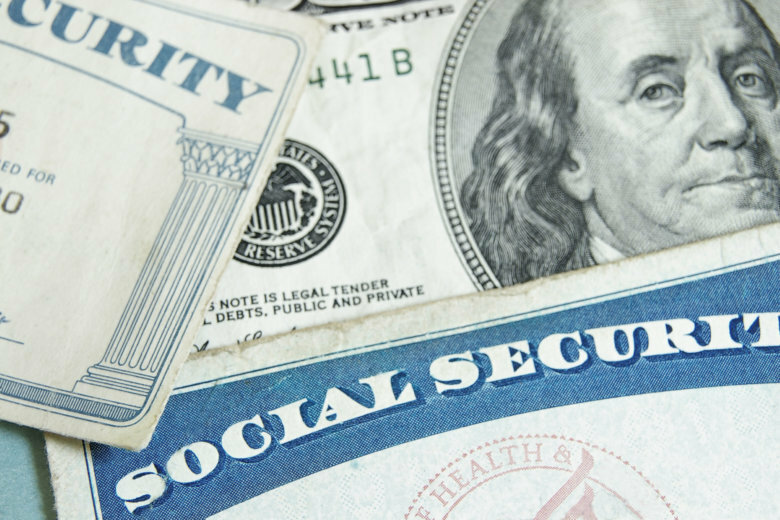 We hope this summary sheds some light on the complexity of Social Security claiming strategies and the need to analyze how the various aspects of your situation may impact your future Social Security benefits. Whether you’re entering retirement as part of a couple or on your own, we suggest everyone — and especially women — carefully consider how to maximize their Social Security income. Making wise claiming choices may pay dividends in the form of higher monthly checks for many years to come.